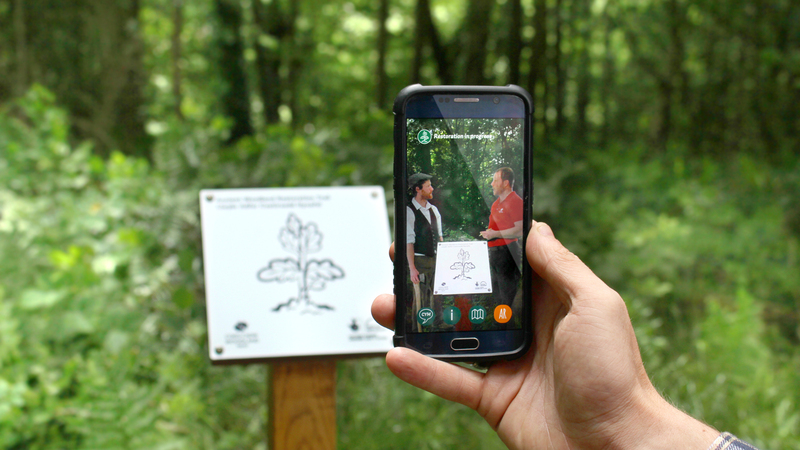 To develop an augmented reality (AR) trail app to guide visitors through Plas Power Woods in North Wales, to highlight some of the ancient woodland features and explain how the Woodland Trust is working to preserve them. We created an AR trail app with an in-app map to guide visitors to a trail of marker posts with printed image triggers on them. 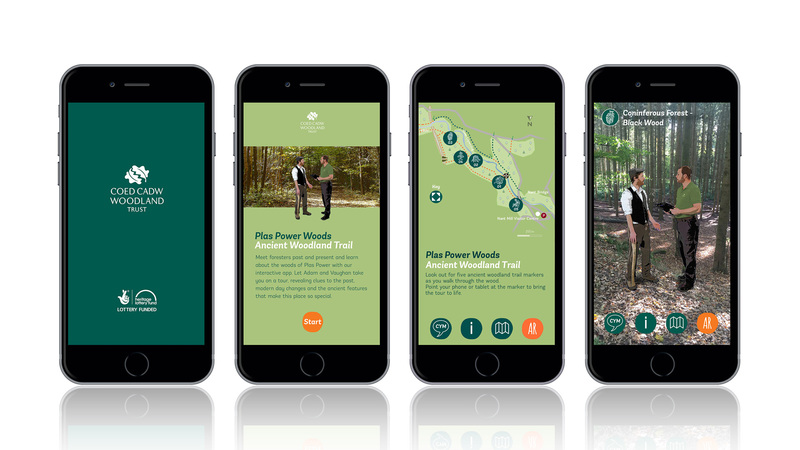 The app allows filmed characters Adam and Vaughan, ancient and modern foresters, to appear along the trail and talk about how the woods have changed over time, and what the Woodland Trust rangers are doing to preserve them.